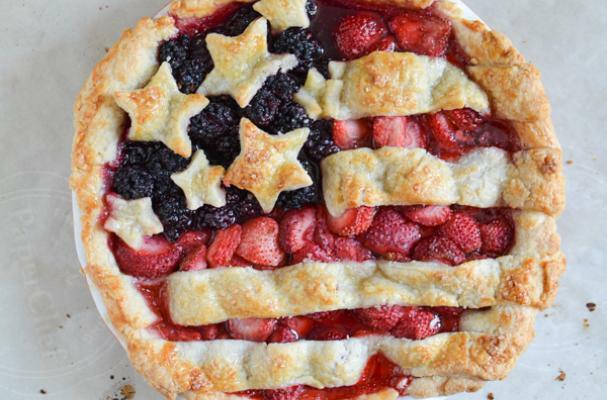 Every one has seen an American flag cake but what about an American flag pie? This seasonal treat sections the blackberries to a corner while the remainder of the pie shell is filled with strawberries. The topping is cut into stars and stripes to resemble the shapes in the flag. The only thing this freshly baked pie is missing is a few scoops of vanilla ice cream to make it absolutely perfect.